BALTIMORE, Md. — The Maryland Auto Insurance Fund discovered that it issued two checks to Healthy Holly LLC for its outreach program with the Associated Black Charities. According to a statement sent by the organization, the former Executive Director authorized a $7,500 check in August 2012 payable to Healthy Holly LLC. It also found another payment authorized by its former Executive Director to the Associated Black Charities in the amount of $5,000 dated on August 23, 2013. The organization said the current board of trustees and executive team were unaware of the payment until Tuesday. It said they are also unaware of any connection between their donation to the Associated Black Charities and Healthy Holly. When notified of the payment, the organization reported its findings to the Maryland Insurance Administration for review. On Tuesday, the Associated Black Charities announced that they plan to return the money that remains from donations given to them to pay for "Healthy Holly" books . 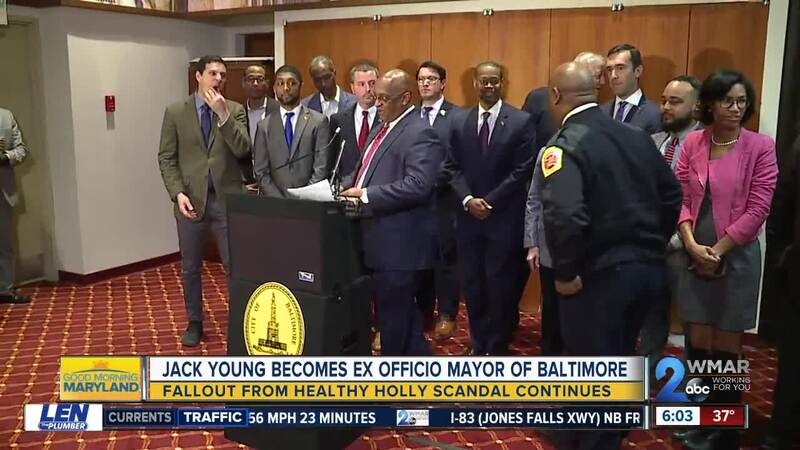 Mayor Pugh has taken a leave of absence as Mayor of Baltimore to recover from pneumonia as the Healthy Holly controversy continues to swirl. The Maryland Auto Insurance Fund plans to conduct additional research to figure out if any other payments were made to Healthy Holly and the Associated Black Charities. "We will be conducting a targeted market conduct examination to gather all the facts. After our review we will make a determination," said officials from the Maryland Insurance Administration.